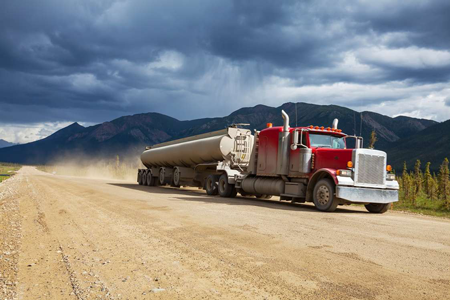 When it comes to transportation of heavy materials, all transport companies use heavy-duty trucks. On the Australian roads, large and heavy road-legal vehicles operate on a regular basis. There are different trucks, and they differ in terms of their design and load capacity. The most common trucks that are used all over Australia are the ones that can carry from 80 and 120 tones. Also, there are trucks with configurations that sum up to 200 tonnes. According to the length and the number of trailers attached on the back, the trucks are usually divided into two categories: two trailer trucks and three trailer trucks. The two trailer trucks are operated on the roads in most Australian states. There are strict regulations according to which these tucks can operate on the roads in areas such as Adelaide, Perth, Western Australia and South Australia. The most common two trailer trucks are the B double trailer trucks. The B double trailer is one of the most commonly used vehicles in the trucking industry. This truck is usually up to 26 meters long, and it is consisted of two trailers that are connected together with a fifth wheel. The main advantage of the B double trailer is the stability that is provided. The b double trailer is globally accepted vehicle for transporting all kinds of loads. From solid to liquid loads, this trailer truck is the ideal vehicle for safe transportation no matter the destination – local or international. The trucks that pull three trailers behind are heavy vehicles that are used for transporting heavy loads. Unlike the b double trailer trucks, the three trailer trucks are not used on every road and in every city. Due to their large weight, these trucks are only allowed to operate in areas such as: New South Wales, Western Australia, North Australia and some parts of Western Queensland and South Australia. The operation of these heavy-load vehicles is under strict regulations in terms of license, registration, weight limitations etc. Even the drivers need to complete specific training in order to operate three trailer trucks.